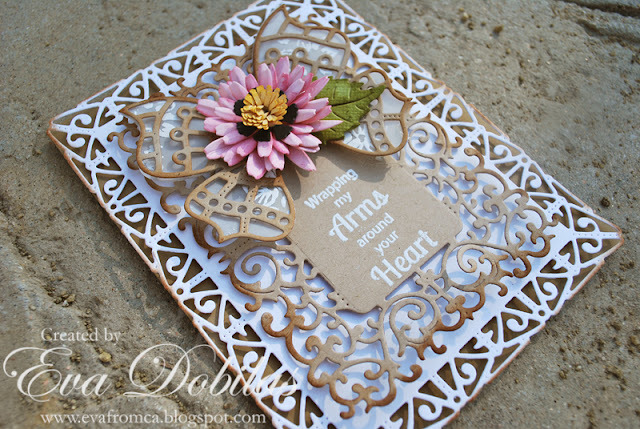 Hi there, today I have a sympathy card focusing on kraft card stock. To create my card I cut an A2 size card base using kraft card stock. I die cut the largest size Deutschland Boutique Stacker A2 Frame using white card stock and layered it on top of my card base to show the kraft through the edges. Than I die cut an Alpine Flourish Doily using kraft card stock and white embossed my sentiment onto it using white embossing powder. 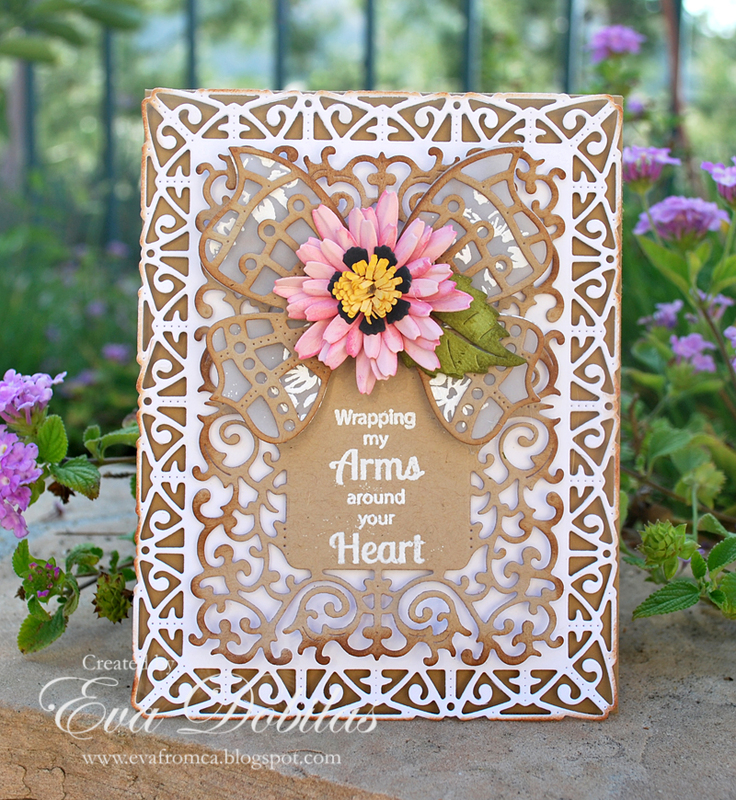 I die cut Whimsical Butterfly w/Angel Wing using kraft card stock and the angel wing out of vellum to layer the kraft part over it. I adhered that on top of the Alpine Flourish Doily. Finally I die cut a Shasta Daisy using light pink card stock to create my flower and to create my center of the flower I die cut the smallest Sweet Williams Strip using black card stock and Black Eyed Susan Strip using yellow card stock for the middle. I saw a flower like this while I was walking I wanted to recreate it. Just LOVE nature and it's beauty and was glad to recreate it. I sure hope you like this pretty card and that you play along our challenge.